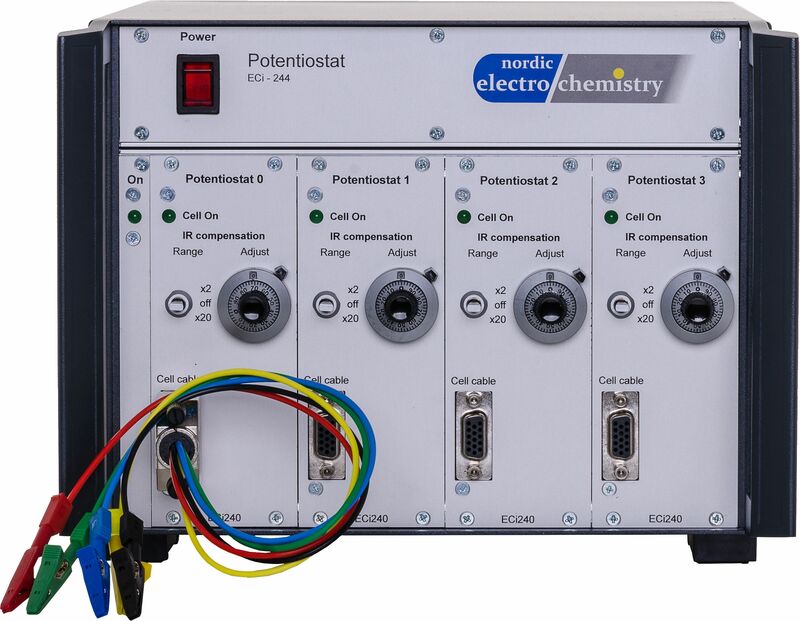 ECi-240 is a modular potentiostat / galvanostat for advanced electrochemical studies of up to 4 samples in parallel. Control over Current, electrode potential and cell potential. Multi-Working Electrode (MWE) Module – Measure the current from up to 8 electrodes simultaneously. Useful for catalyst testing. Digital Input (DI) Module – Measure the state of up to 4 external digital channels. Temperature Module – Record the temperature with PT-100 probes. Analogue Output (AO) Module – Control external devices such as rotating disk electrodes.